Hi folks! Here sharing my recent trip to Bangkok (4D3N). It's my 3rd time visiting Bangkok and still in love with the city, people, food & culture. We settled for a very affordable lodging right next to NANA BTS during our stay. 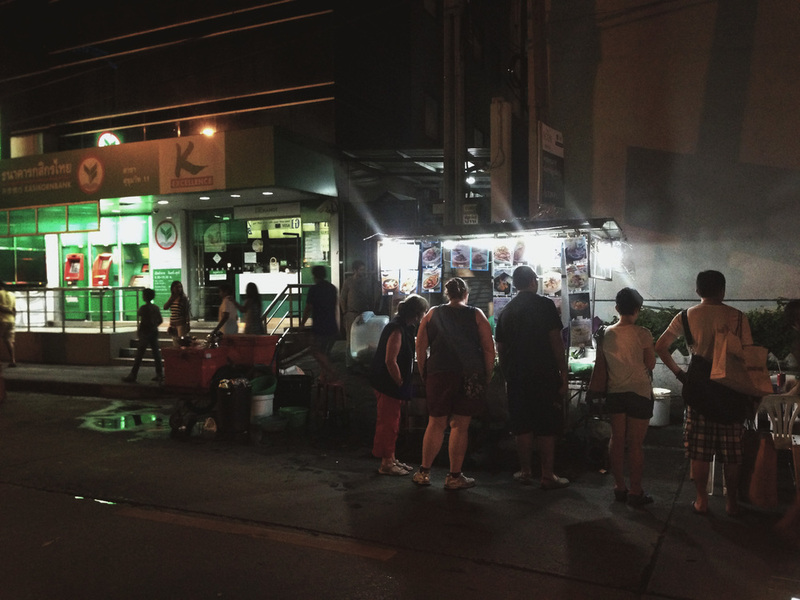 Along Sukhumvit Soi 11 (Nana) house one of best street food stall that you can ever find. I highly recommend this stall situated right in front of the bank - refer to the image above. If you're looking for a place to have a drink or two, you definitely wouldn't want to give this place a miss. There are pubs with live bands, clubs & restaurants along the street which operate every single night throughout the week! & if you're feeling tired from all the walking throughout the day, you can head on down to the massage parlours around the vicinity to pamper your feet & body with some relaxing massage. 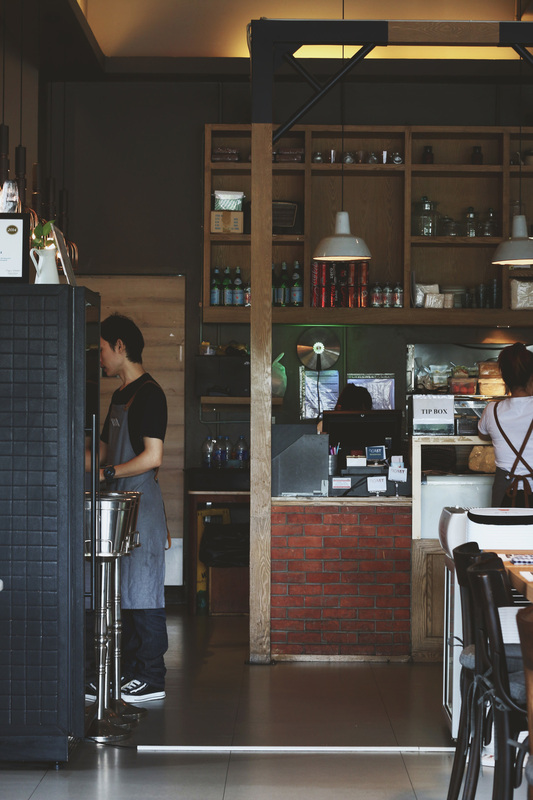 The cafe scenes in Bangkok have grown exponentially ever since the third wave coffee ravaged the world in the recent years. Cafes in Bangkok are really much well-renovated & spacious as compared to Singapore! Furthermore, I'm really stoked by how delicious the food actually tasted. I guess part of the reason why Bangkok never fail to impress me with their food lies in their low operational & production costs and hence able to produce fresh quality food. Thumbs up & hope it stays that way! Situated at Seen Space, Thonglor 13 BTS Thonglor Station.Roast -This sun-drenched cafe with stunning interior offers a wide variety of food choices to choose from, & don't forget to get yourself a cuppa coffee here. If you're heavily obsessed with social media like me then this place definitely is a instagram worthy cafe for you! From their high ceiling interior to their plates, cups,and even coasters, I just wish I could bring everything back to Singapore! Note: By the way, their crabcakes are real delicious but we only knew about it after we left, so be sure to try it when you're there! Situated at 30/1 Sukhumvit, Khlong Tan, Khlong Toei, Bangkok 10110, tucked away in a corner from the buzzling main road. You'll be bewildered by the ambiance the moment you take your first step in from the entrance. 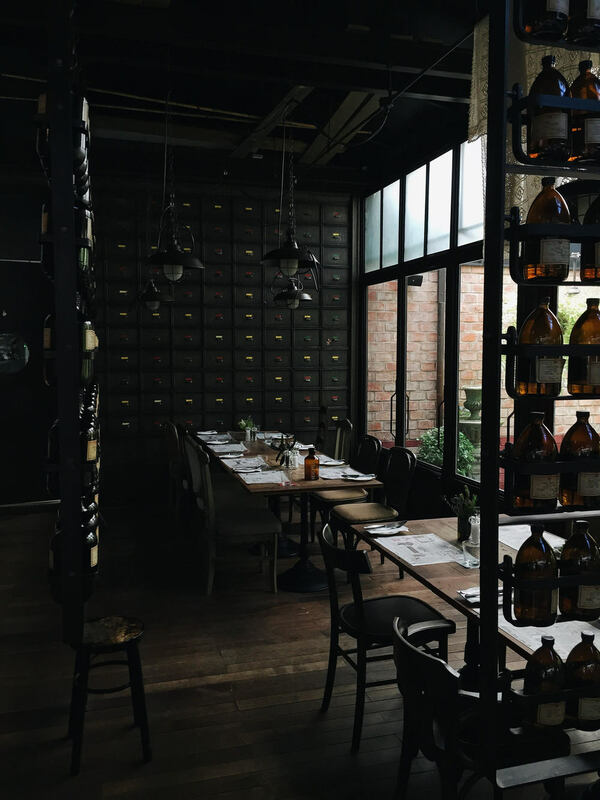 As though as if you have stumbled into a restaurant right in the middle of the woods - dark interior structures complemented with marble table & pretty settings and medicinal bottles as a 'wall' partition to segregate different parts of the restaurant. Indeed a real pleasant space to dine in. They're well known for their desserts and you definitely MUST try their famous cotton candy! Not really a place for specialty coffee though, order their cold drink or tea instead. 4th & newest outlet - 111/1 Soi Phahon Yothin 7 (between Soi Ari 3 & 4). Cosy, laid back, relaxing place to do your work. 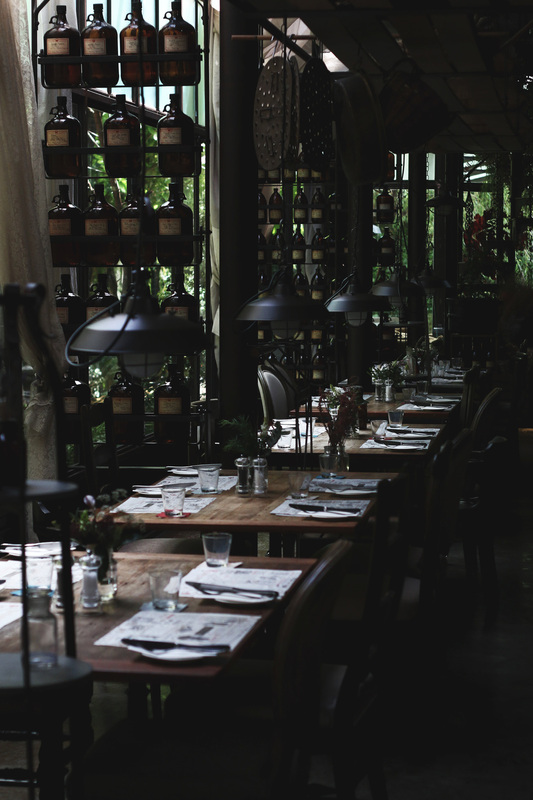 They offer simple brunch menu like pastas, pancakes & pastries. Nothing fanciful, just simple & delicious! Thai food known for its combination of flavors - sweet, sour, hot & saltiness. 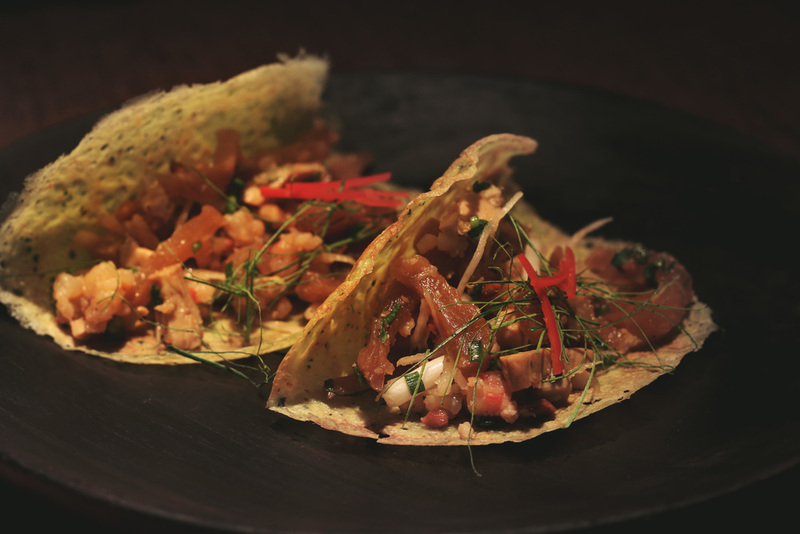 This restaurant is the perfect embodiment to thai cuisine! 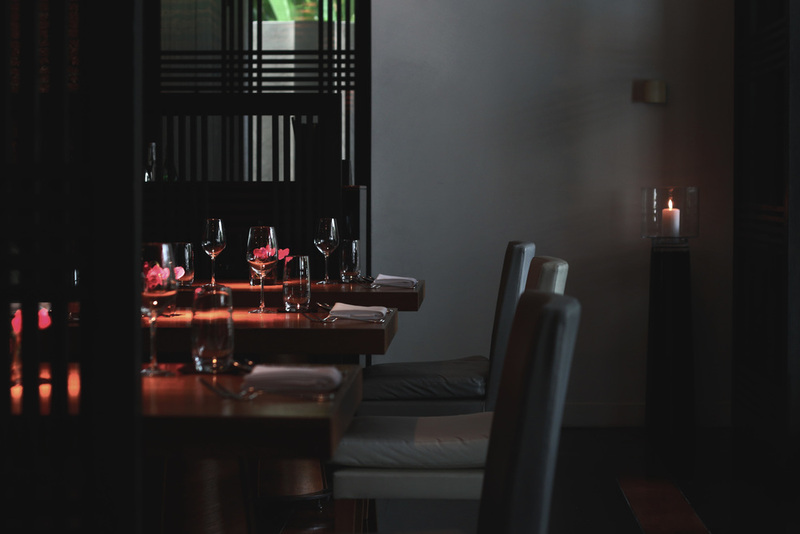 Combining the essence of thai, every single ingredients & details are cooked to the utmost texture and flavors. If you're thinking I must have paid a hefty sum to dine in this restaurant then you're wrong. It cost no more than 100SGD/pax. The amount of food they've served for the set courses were definitely filling! Note: Do reserve seats few weeks before your trip! My sole purpose for this trip was to collect wares and food props from chaktuchak weekend market. To my disappointment, the only worthy buy from the market were woodwares which was considerably cheap! 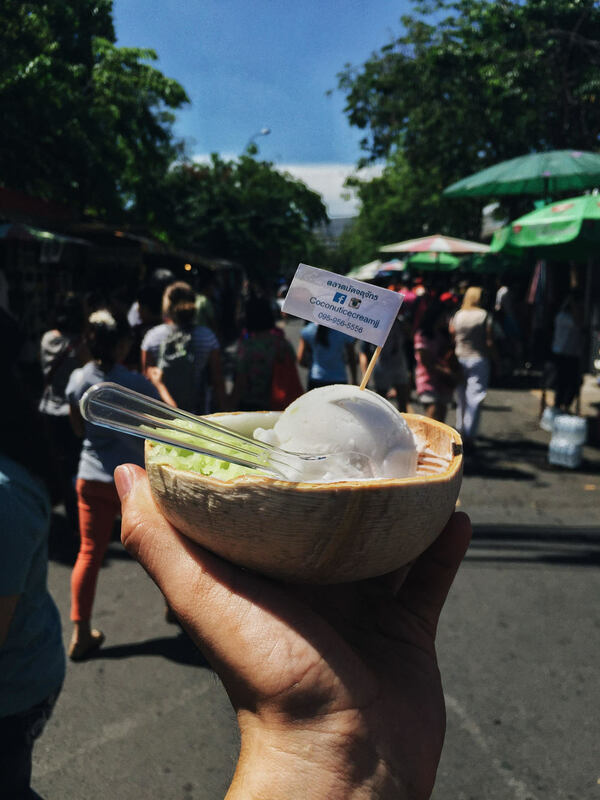 Don't forget to try the famous chaktuchak coconut ice cream! Tips: If you're shopping for fashion, head down to section 4 & 5! We also happened to chance upon the new market near Chaktuchak called JJ Green, they have a mini flea market & a few cool bars going throughout the weekends. Definitely a place for youngsters to hang out at. Another location where you can shop at night is at Talad Rod Fai (Railway Train Market) situated at Ratchada! Hip & indie area where they house many local fashion brands, antiques & furnitures! A must go if you haven't been there before! Despite being a short trip, I managed to explore many new places and also tried many tasty food (more to come!). Hopefully I'll be able to visit again next year!